Back in 2010 the Liberal Democrats were the ‘cool’ party. Young people were excited about them. They were the kingmakers. These days, all that feels like a lifetime ago, especially given the current state of the party. In 2015, it was expected that the ‘Lib-Dems’ were going to lose seats in the general election. However, nobody thought it was going to be as bad as it turned out. Most infamously, Paddy Ashdown promised to ‘eat his own hat’ if the exit poll was true, in fairness it wasn’t… it was overly optimistic. Now, in 2017, all we hear about in the news is how the Labour Party is being run into the ground by Jeremy Corbyn. What’s receiving less attention is that The Liberal Democrats are in a deeper hole than Labour, and their lack of passion and desire is putting democracy at risk because the Tories have no coherent opposition. After the disaster of the 2015 general election the Lib-Dems are a weakened force. But the failure should have inspired them to lead a comeback and be credible again. This is not possible under the leadership of Tim Farron. Prior to the coalition government, Nick Clegg was regarded as being a charismatic leader with strong debating talent. In fact, one newspaper in 2010 claimed that he was as popular as Churchill! Obviously, public perception on Clegg has changed massively in recent years but this does not erase his past successes. Unfortunately for the Liberal Democrats, Tim Farron is not the man to lead their resurgence. His lacks the charisma and likeability make a Lib-Dem comeback at all likely. Whenever Farron gives a speech, his passion comes off as whiney and irritating. To make matters worse, the most common words used to describe him are boring, unconvincing, buffoon and weak. Given the current state of the Labour Party, Farron should be the voice of progressive politics. However, he has failed to become this and has not offered voters a true alternative. 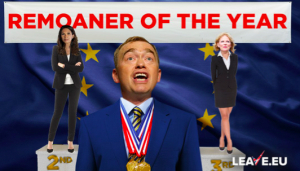 It is too easy to criticise Farron – aka Remoaner of the Year 2016 – and use his leadership as a scapegoat for the party’s failings. His MPs are just as guilty. There may be only a handful of Lib-Dem MPs but their voice should be loud in the Commons despite their small numbers. In one of my favourite radio interviews of all time, Sarah Olney MP provided us with one of the biggest car crash interviews of 2016. Her by-election win in Richmond Park was a massive opportunity for the Lib-Dems to state that this was the beginning of their comeback. But, alas, the Lib-Dems fell flat on their faces again. Olney could not hack the pressure and ended up doing a runner; not the publicity the party needed, and not a great advertisement for ‘progressive politics’. Furthermore, the Lib-Dems produced one of the weirdest introductions to a political broadcast in history which, ironically, involved Olney again. What are the Lib-Dems doing? They are supposed to be the party between the Tories and Labour but they are far from being credible or serious. This is not just Farron’s issue. The whole parliamentary party is at fault and has demonstrated nothing but idleness in recent months; even more offensive given the opportunity afforded to them by Labour. Labour have been ripping themselves apart for years yet no party (other than the SNP) has seized this opportunity. The vacuum left by Labour is for the taking. Obviously, the Lib-Dems can’t become the next formal opposition but we should expect them to hold the government to account, regardless of their numbers. 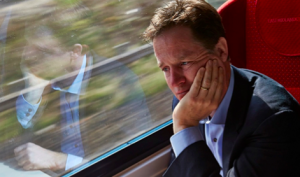 With the exceptions of Clegg and Farron, Lib-Dem MPs seem invisible – they’re just filling up seats. The party deserves a platform; their policies are progressive and reasonable to most people. However, their current MPs are failing their members and the electorate. I personally have met several Liberal Democrat voters who have felt so disillusioned by their party they have renounced their membership. This cannot go on. The party needs a refresh. Their policy of a second EU referendum is damaging the party. Perhaps not the policy itself, but the way it is being conveyed to the public. The Lib-Dems want a vote on the terms of the deal, but to the public it looks like the Lib-Dems are refusing to accept the Brexit result. Appearing like undemocratic whingers is far from attractive to voters. Another problem is that their claim to be the voice of the younger generation as Brexit has ruined their future; let us not forget the tuition fees scandal during the coalition. Their MPs were not elected solely by 18-24 year olds; they need to stop saying that all young people agree with them because it is simply not true. The Lib-Dems need to join Pepsi and United airlines for lessons in PR. Selling themselves as the anti-Brexit party is not enough. The Lib-Dems need to focus on regaining the electorate’s trust if they want to return to the frontline of politics. At present they are at risk of becoming like UKIP, a one-policy party. They need to put forward new and unique policies otherwise they will begin to fade. Parties need multiple policies to survive and the Lib-Dems are already at near extinction. If Farron wants to be the man to lead the ‘great comeback’ then he needs to regain the electorate’s trust and focus on all issues, not just one. The painful truth for Lib-Dem supporters is that their party is still in decline. The electorate wants a true alternative with key values, and to get away from their whining and boring image new leadership is needed. Labour have failed to present strong opposition and the Lib Dems must use this opportunity to grow their brand of politics, otherwise nothing will change and their party will slowly fall into silence.